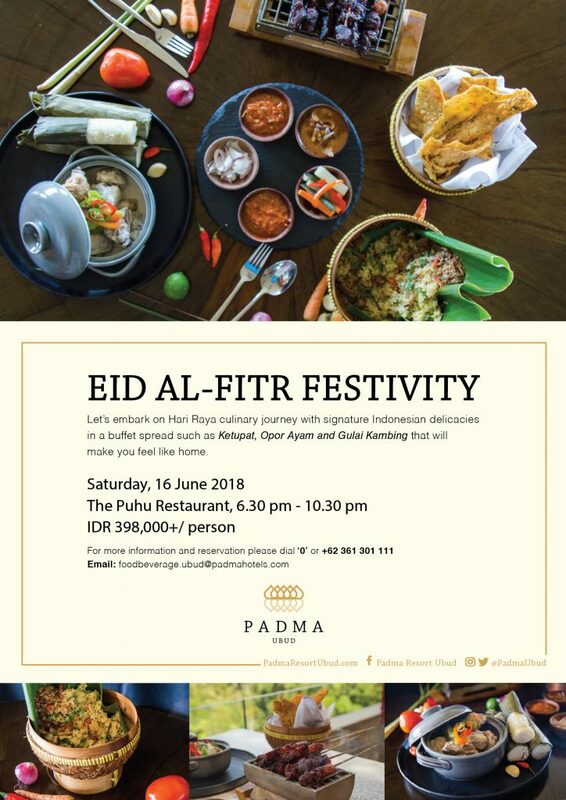 Afer a long month of fasting, it’s now the time to celebrate Eid Al-Fitr with your loved ones at Padma Resort Ubud. Savour in Indonesia’s authentic Ketupat, Opor Ayam, and Gulai Kambing and other delicious buffet option. Indulge in the juiciest steak you can imagine with our Meat Madness special offer. 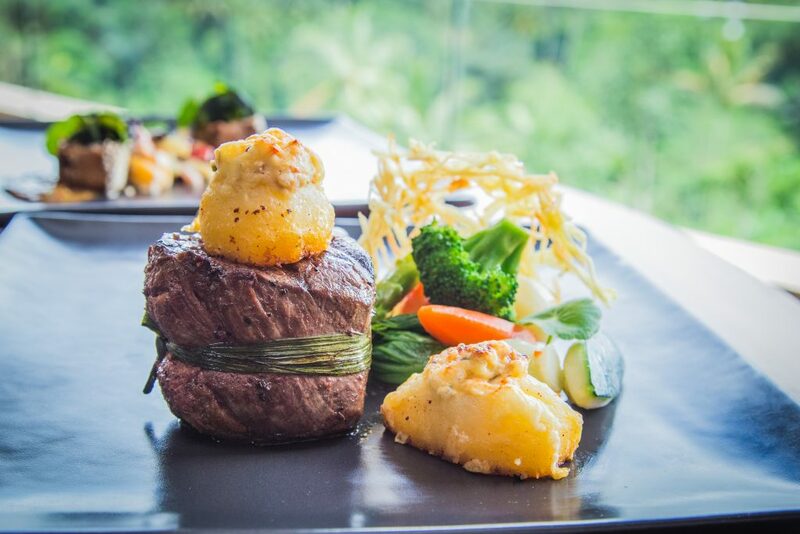 You’ll also be spoiled with a delectable entrée and dessert. Start your morning with a unique experience of Secret Floating Breakfast. You can plunge into our hidden pool enjoying the floating breakfast of American menu while marvelling at the lush greenery of Ubud. A special offer for non-staying guests, now you can take a dip in our 89-metre heated infinity pool looking out the opulent Payangan Hills. You can then experience the exquisite Mediterranean cuisines at The Pool Café & Bar, followed by afternoon tea. Treat your senses with the Ultimate Serenity pampering rituals. Choose from the 2 Day Indulgence or the 3 Day Indulgence rituals. 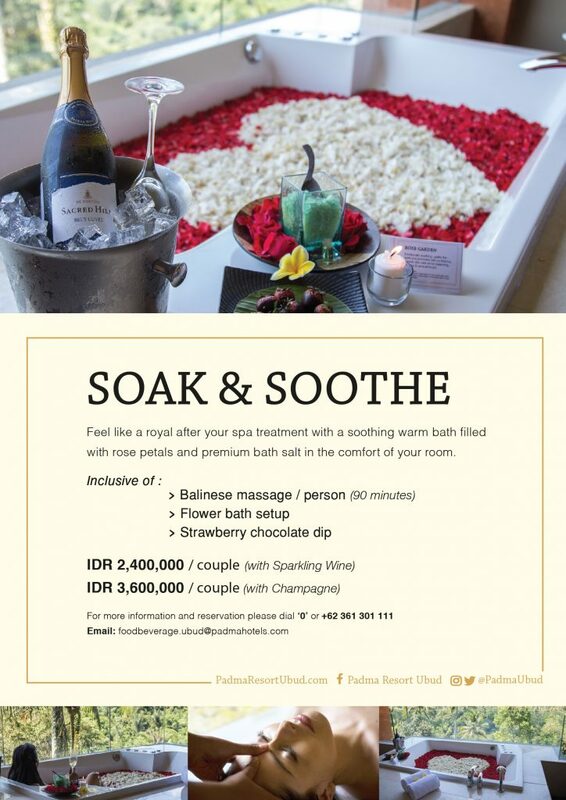 There’s no such thing as overindulging, that’s why you have to treat yourself for a truly pampering experience, which includes 90 minutes Balinese massage, flower bath, strawberry chocolate dip and your choice of Sparkling Wine or Champagne. 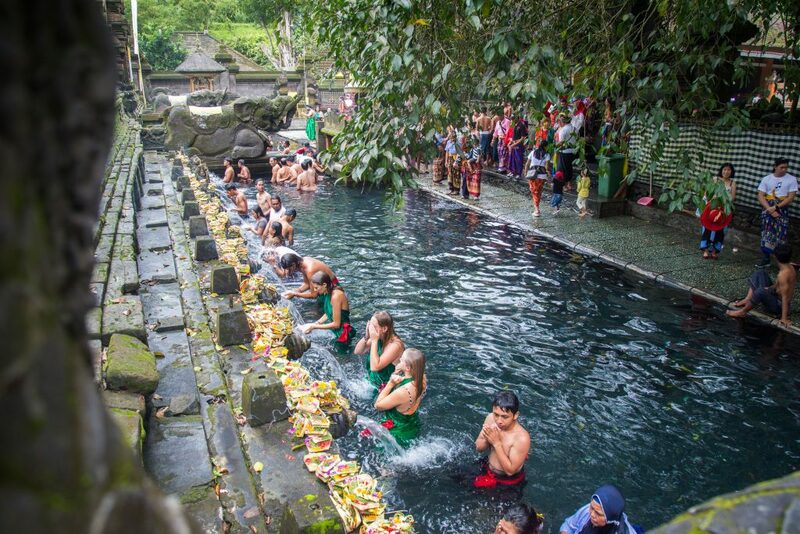 There is more to Ubud than rice terraces and monkey forest. 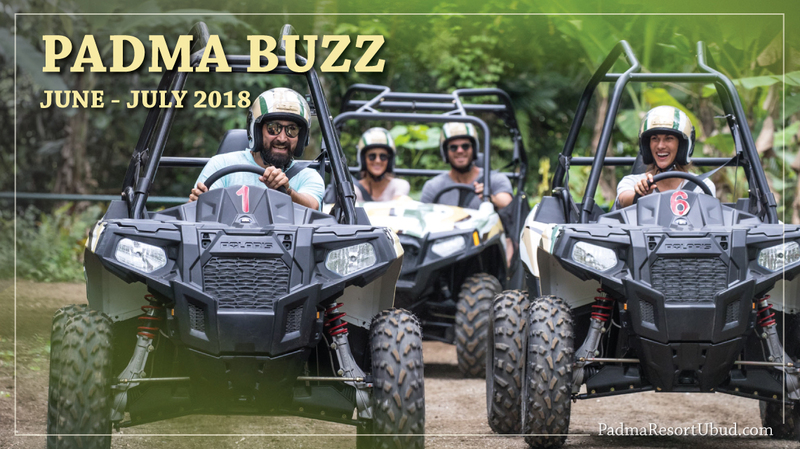 During your stay, challenge yourself to some adventurous activities such as off-road Jungle Buggy Ride and experience Ubud with some adrenaline. If adrenaline isn’t your cup of tea, we also offer more leisurely activities such as Elephant Park Visit and Helicopter Ride, which could also make great opportunities for that magical proposal moment. 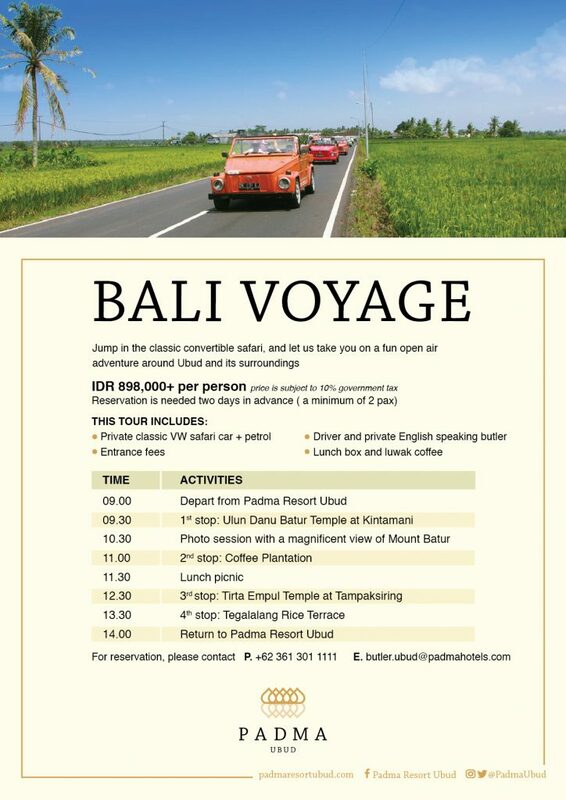 Journey into the depths of Ubud in style on a classic convertible safari. Be prepared for a new inspiring activity for guests staying at Padma Resort Ubud. Soon you will be able to experience a sacred journey through Balinese temples and holy sites for a truly noteworthy Balinese holiday.